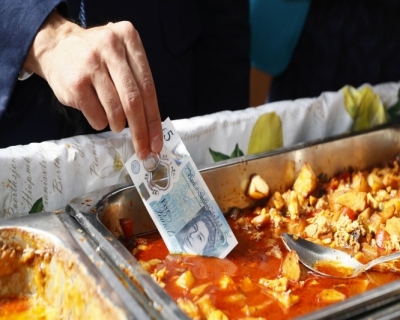 The revelation of tallow, a substance made from animal fat, in the new five pound notes issued by Bank of England has sparked off backlash from Vegans, vegetarians and Hindu and Sikh communities of UK. They see this move as a dismissal of their principles. 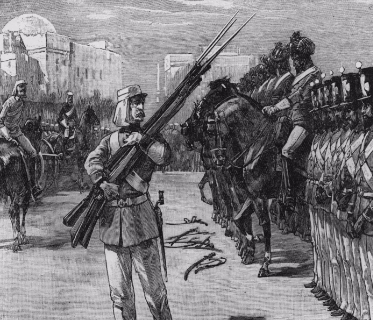 The issue bears an eerie resemblance to the rumour that triggered the 1857 Rebellion in India, often called India’s First War of Independence. 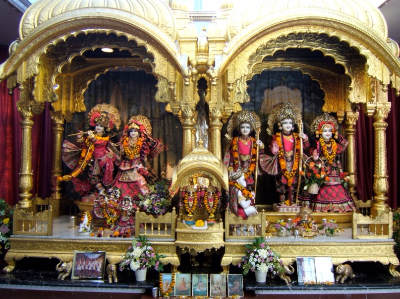 What have some Hindu temples in UK decided? 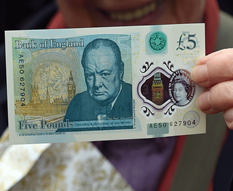 Some Hindu temples have decided to refuse accepting the new “adharmic (unrighteous)” five pound note. Last week, it was made known that tallow from beef or mutton fat was a constituent of these new notes. As Hindus consider the cow as a sacred being, some members of the community are reportedly angry at the news. The Council went on to acknowledge that the new notes had not been made out of malice and were rather the result of ignorance. It hoped the adharmic notes would be identified, withdrawn immediately and “Karma free” notes would take their place. While some temples decided to ban the note, others expressed their objection but have agreed to continue using it. Note: Tallow is a rendered form of beef or mutton fat, processed from raw fat of beef or mutton, especially the hard fat found around the loins and kidneys. It is solid at room temperature. Why are different groups angry about the new note? Since these notes were introduced by the Bank of England in September, 129,055 people have signed a petition seeking them to be replaced with tallow-free notes. Vibhooti Acharya, president of one of Leicester's largest temples said news of the note’s tallow content provoked Hindus as it is against their principles to hurt animals. She added, “No-one was informed and it's been thrown upon us. We don't have the opportunity to choose.” But she also pointed out that rash steps in reaction to the news were simply impractical. Because humans consume the milk of cows, in Indian culture, the cow is elevated to the status of “mother”. The manifold ways in which Indians benefit from the cow – agriculture, dairy products, fuel source and fertilizer – its gentle nature and religious significance – the cow features as a noble being in several tales of Hindu mythology places the cow in high esteem in Hindu society. Some vegetarians and vegans also disapproved the tallow in the new note. Ali Ryland, a spokesperson from The Vegan Society, said, “(Tallow) doesn't need be used in the notes at all as there are many plant-based alternatives. Using animals in this way is outdated and unnecessary, not to mention the fact that it is obviously cruel. ” in a statement emailed to CNBC. Lynne Elliot, The Vegetarian Society's CEO, told CNBC that the main reason for the resistance was people’s concern about using products that require animal slaughter to be produced. "So they're very careful about what cosmetics, cleanings products, and clothing they use and they've got choices about all those things. But this is going to be very difficult for people to avoid using the currency of the land”, she said. When did animal fat trigger a rebellion against British rule in India? The NCHT chose to recollect the 1857 revolt in its statement against the new polymer 5 pound note. The last straw in several incidents that cumulatively triggered the rebellion was the ammunition used by the new Enfield P-53 rifles the British insisted the sepoys (Indian soldiers under British) use. The rifles used pre-greased paper cartridges. Sepoys had to bite the cartridge to open it and release the powder to load the rifle. It was said that the grease used on the cartridges contained tallow from beef, which Hindus staunchly refused to consume and pork, which Muslims strongly refused to consume. This was viewed as a disregard to the religious sentiments of Hindus and Muslims. The petition which amassed a huge number of signatures notes that the use of tallow in notes is unacceptable to millions of vegans, vegetarians, Hindus, Sikhs, Jains and others in the U.K. While for a section of Indians, the incident triggers the memory of the 1857 revolt Trupti Patel, President of the Hindu Forum of Britain who felt this was an unexpected move which drastically differs from the sensitive and inclusive approach taken by authorities also said it was simply an oversight. “I think it’s most likely a mistake. When you develop something new and its animal content doesn’t matter to you, you just don’t think of it”, she said. Where are the greatest objections from? UK has come a long way since Gandhi expressed his concerns on the lack of eating options for a vegetarian. Being a vegetarian has now become very common in Britain, and life for vegetarians is easy, with restaurants, hotels, products catering exclusively for them or also for them. According to the European Vegetarian Union, Britain has the third highest rate of vegetarianism in the European Union, behind Italy and Germany. The National Diet and Nutrition Survey estimates that around 2% of the UK population is vegetarian, which is more than 1.2 million people. Teenagers make up the highest proportion. 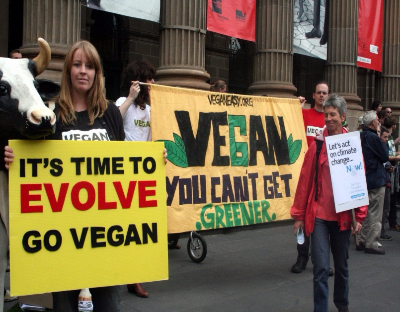 The number of vegans in UK has spiked by more than 360 percent in the past decade. Around 542,000 people above the age of 15 have adopted a plant-based diet. They also take utmost care to avoid using animal products. 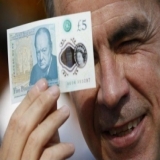 Apart from religious sentiments and lifestyle practices, one reason highlighted among those angry over the tallow content is that though the note was in circulation since September, the users were unaware of the tallow content till one Twitter user explicitly asked the Bank of England. People were angry at the bank’s casual indifference to their principles. Note: Though both - vegans and vegetarians - do not consume meat, the two differ from each other in two aspects. First, while vegetarians tend to consume dairy products and eggs, a vegan avoids all animal products, including eggs and dairy, and often inedible animal-based products, such as leather, wool, and silk. Second, vegetarianism is usually a diet, while veganism is a lifestyle. Professor David Solomon, the Australian inventor of polymer bank notes says the notes contain “traces of tallow”, an animal fat found in soap and candles, and yet the protestors are pressurizing the bank of England to find an alternative. He pointed out to the numerous advantages of using polymer notes – harder to forge, environment friendly and more hygienic. 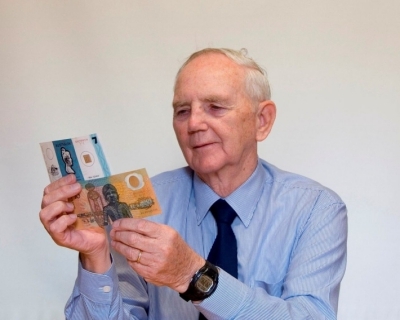 The $10 polymer note was the first such currency and the result of Australia’s research and development body, CSIRO, led by a team under Solomon. It entered circulation in Australia in 1988. 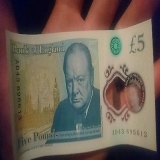 The new five pound has some other problems: notes sometimes stick and while harder to tear, begin to tear very easily from the first nick onwards. There were others who made light of the issue and situation. 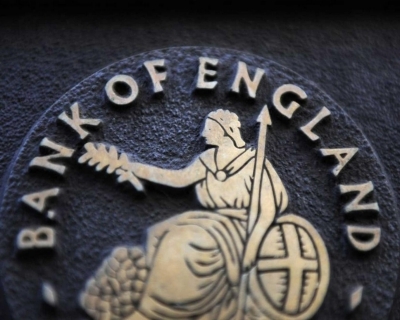 How has the bank of England responded? Elliot said the Bank of England had been responsive and understanding. She added they were looking into the matter. 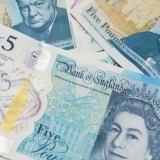 There are two more polymer currencies – the 10 pound and 20 pound banknotes – which are to be introduced by 2020. Elliot hoped there would be a way to progress with an alternative solution. News18 reported that the bank was exploring ways of removing the tallow note from circulation. 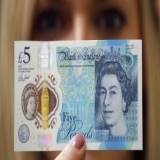 "We are aware of some people’s concerns about traces of tallow in our new five pound note. We respect those concerns and are treating them with the utmost seriousness" a spokesperson said.